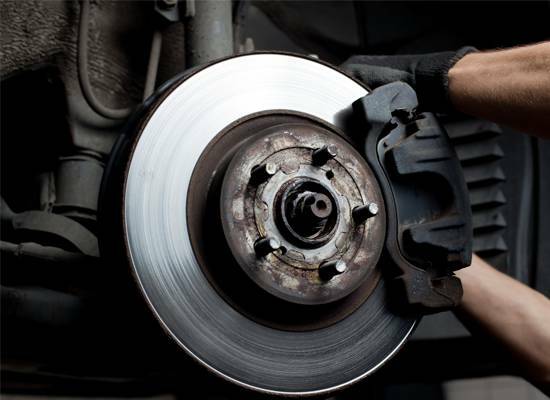 Lee Myles AutoCare & Transmissions in Bay Shore, NY is your trusted resource for automotive brake repairs and services. It is extremely important to make sure that your brakes are working properly and efficiently in order to ensure you and your family’s safety on the road. Broken or worn out brakes can potentially lead to danger while on the road. The brake system must run as smoothly throughout, from the brake pedal all the way to the brake pads. A common symptom that your vehicle may need a brake repair or service is your brake pedal presses very softly while braking or hearing a grating or squealing noise while braking. Another symptom to be on the watch for while operating your vehicle is if it requires more effort than usual for your vehicle’s brakes to catch or the pedal approaches the floor while braking. This could indicate that your car may be low on brake fluid or you might have a leak in your brake system. Another symptom of faulty or worn out brakes is if your brakes begin to grind or squeal when braking. This is an indicator that you may need new brake pads or rotors. Worn pads can also cause the car to veer to one side or another as you brake. If your brake warning light comes onto your dashboard, but you have not seen or heard any obvious faulty symptoms while braking, it is important to get your vehicle inspected anyway. There may be a problem within the braking system that isn’t obvious but could still potential cause major brake system damage if ignored. A simple brake repair now is better than an expensive vehicle replacement later!